The stiffness of arteries is an important indicator of cardiovascular health, but this parameter is somewhat difficult to evaluate and normally requires a specialist to do it. And yet regular monitoring of arterial stiffness can help to monitor a variety of diseases or help in their diagnoses. 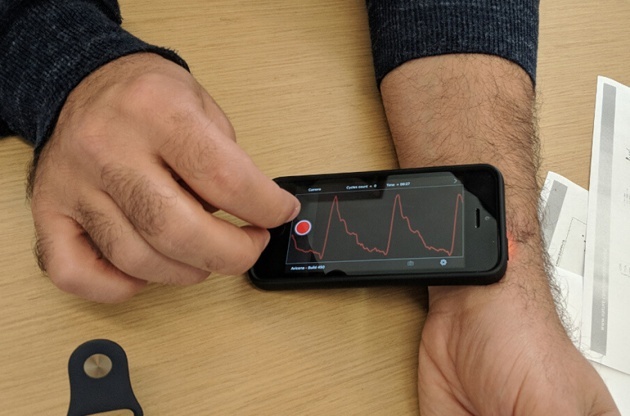 Now researchers at University of Southern California (USC) have developed an app that that uses only a smartphone’s camera to measure arterial stiffness. Tonometry, which is a combination of blood pressure measurement and electrocardiography (ECG), is the standard method for measuring arterial stiffness. USC researchers realized that with a bit of artificial intelligence, you can combine one uncalibrated carotid waveform measurement with some facts about the individual being measured and you can get results very close to current standard of care.